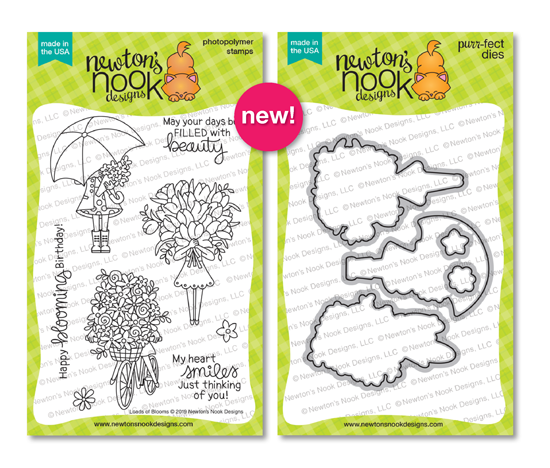 Hollybeary Creations : Newton Nook Designs Feb Release Day ! 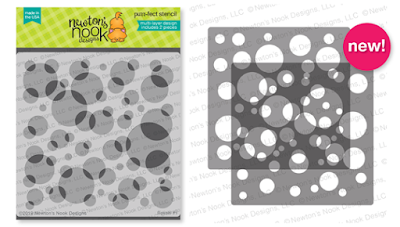 Newton Nook Designs Feb Release Day ! Happy Monday everyone... It's time for the February Release from Newton's Nook Designs. This month is Full of Fun new products including Two new stencils and a stand-alone die set. 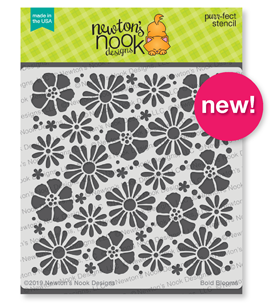 Up First are the Two New Stencils... Bokah and Bold Blooms. And today we are introducing a new standalone die called Flower Trio. And today's Featured Stamp Set from the Release is Loads of Blooms and it's coordinating dies. My first project today features the Loads of Blooms Stamp and it's coordinating dies. I created a background with some Fun pattern papers from my stash and then on the Pink paper I added some embossed clouds with our Cloud Sky stencil and White embossing paste. I created a sentiment banner with the Frames and Flags die set and then I stamped and colored the image. I also created a Bonus project today using the new Flower Trio Die set and the Bokeh Stencil as a dry Embossed Background. I used the stencil in my Big Shot to emboss it onto a piece of White cardstock and then I trimmed a 1/4" off each side and added it to a White cardstock base. I die cut each of the Flowers and leaves from watercolor paper and then I colored them with Distress Inks. After they dried I created my arrangement and then I die cut the sentiment using the Essential Alphabet Die set. I adhered the letters using foam tape. For a pop of Sparkle, I added some Sparkling Clear sequins. Gorgeous cards! Love so much the bright colors and the layout of the first one!!! Both of these cards are fabulous! I love the fun bright colors too! Oh, I can almost smell these fab spring flowers!! What a great release! Such a cute stamp set. I love, love the bike and florals. And what a beautiful way to use the floral dies! I am LOVING Loads of Blooms! The card FULL OF FLOWERS looks wonderful. I love the bright colors you used! Great layering!!! All your cards are great, but I love the Hello Beautiful card! 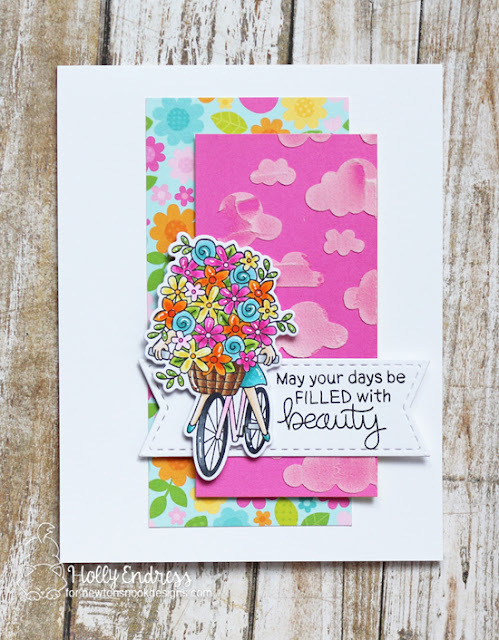 The Loads of Blooms stamp set is very cute and my style, including the sentiments. Your cards are bright and cheery. I especially like the first one with the flowers overflowing the bike basket. Beautiful cards! My fave is the first one; love the design and dimension. Adorable cards! 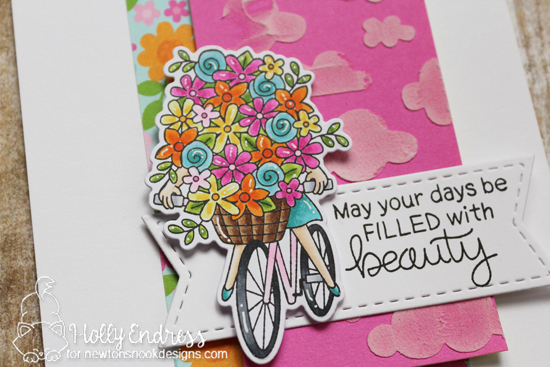 I love this sweet Loads of Blooms card! So cute! And I love your Flower Trio card too! So pretty. I like the colors and layers. Gorgeous cards. Just goes to show how versatile these products can be! Colourful and bright! A high point on this blustery winter day! Such fun cards. I love what you did with the floral dies. The palettes on both your cards are lovely, so bright and cheerful and they really bring these products to life. Oh these bright spring cards has me yearning for spring! Fabulously done! 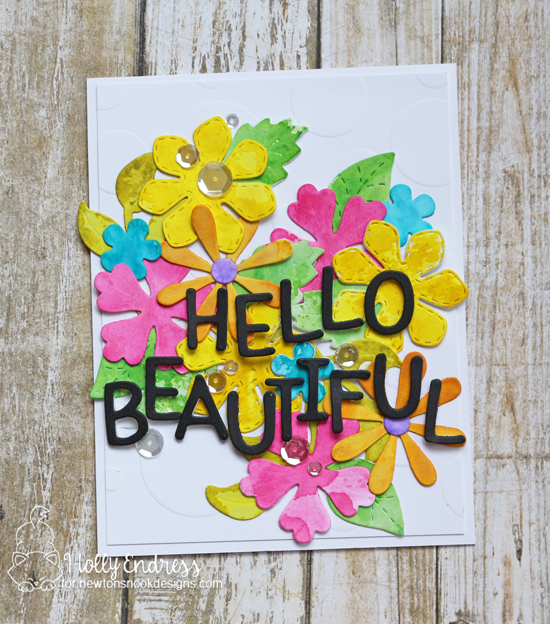 Love how you created a bouquet of flowers with these new flower dies! Beautiful cards! I really love your bright colors. 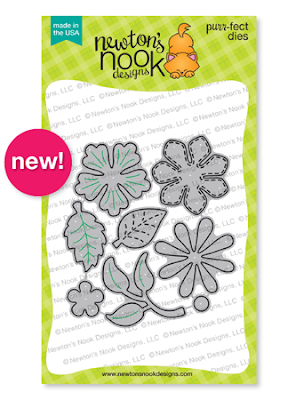 Wow you really showed how well you could use these new dies and stamps to really bring back that warm spring feel. Such fun & colorful designs! Looks like Spring & makes me happy! Just love your cards, so bright and colorful, perfect for spring! 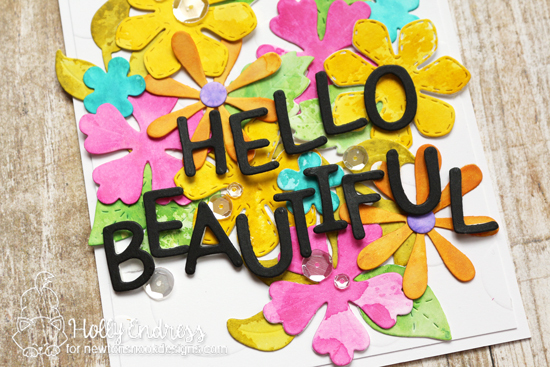 I love how you combined so many different elements to make these bright, cheerful cards! What adorable cards! Love the bright happy colors. Thanks for sharing. The bokeh and the bloomin are two must haves, for sure. Sweet cards.